In the middle of the crazy that is Downtown LA, there is now a respite from city life. The new Don Francisco’s Coffee Casa Cubana is the place you never knew you always wanted. I want to say right up front that this is not a sponsored post. I was invited to the opening of the Casa Cubana and the following opinions are my own. Set in the classic and iconic Arcade Building on Spring Street – I’m talking about DEEP in Downtown LA – is a beautiful “home away from home.” Casa Cubana is the perfect name for this delightful gem. Full disclosure: Eric and I were invited to a preview day of all the Cuban food and coffee magic available at the Casa Cubana and I am pleased and proud to report that we were NOT disappointed. 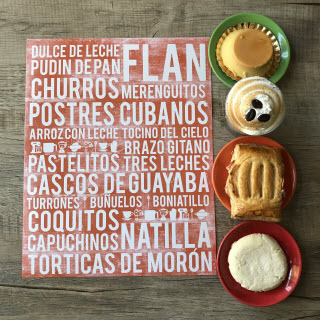 Classic Cuban pastries and bread made fresh daily. (<– I’m pretty sure I just described what heaven will be like.) 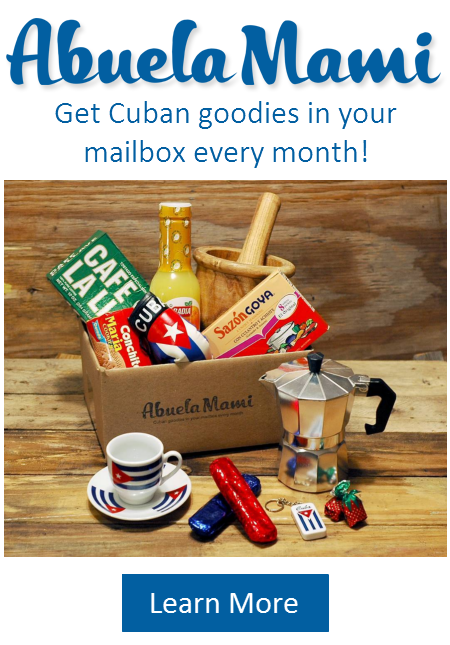 But until that time, the Casa Cubana has got you covered. We’ve been friends with the Gaviña family for quite a while now and I’m proud to name them as one of my excellent blog sponsors. It was so lovely to visit their newest venture which has been 50 years in the making. We tried all the food they had on the menu. I know. Delicious fresh Cuban food made by an amazing chef. I don’t have enough superlatives for all the deliciousness that came our way. Yes, LA. 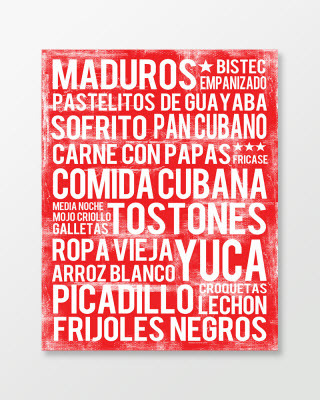 You now have a Cuban Frita you can boast about. Perfection. The ambience was all about family. We felt so at home. Every delectable offering from their menu felt like my favorite comfort food. If you get there for breakfast, do yourself a favor and try the Pork and Plantain Hash. I promise you will hear angels singing with that first magical bite. Absolutely my favorite thing on the menu and that’s saying something. Of course because their story starts with coffee, I would be remiss not to mention the delicious Panama Geisha coffee we had the pleasure to enjoy. Full disclosure: I drank it black and down to the last drop. It was that good. No surprise there. The cafe is beautifully appointed as well as spacious and welcoming. Very much like a Cuban home. 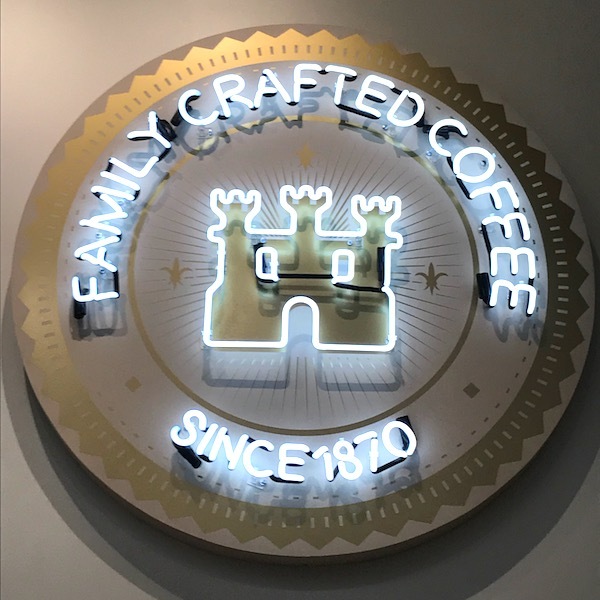 The “living room” is complete with a gallery wall of family photos telling the story of coffee and the rich Gaviña family history. I am so grateful to my friend, Leonor Gaviña for the tour and food and coffee tasting. I took a moment to sit and take it all in and my take-away was that everywhere I looked and everything I tasted had that inimitable essence of Cuban hospitality attached to it. I wish I lived closer to LA, I would be at Don Francisco’s Coffee Casa Cubana every single day for a cortadito and for the lastest chisme. Thank you, thank you, THANK YOU, Gaviña family, for your generous and gracious hospitality. A beautiful space, amazing coffee, and delicious food. 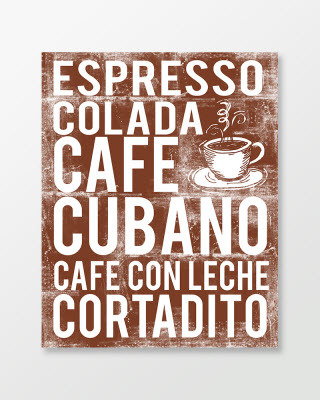 In other words, a perfect representation of our Cuban culture. Congratulations, Casa Cubana! You knocked it out of the park. When you’re in LA next, please make it a point to visit. Tell them Marta sent you! I was turned on to your blog by my Italian sister-in-law. Like you, I too have Cuban blood that I am very proud of. The difference is that I, my parents, and two of my grandparents were all born in America. The other two of my grandparents came to America when they were very young. My ancestors moved from Cuba to Key West in the early 1800s. My two American grandparents were born in Key West. My mother’s side of the family ended up in Miami where my mom was born and my father’s side of the family moved to Tampa where my dad was born. I was brought up speaking “Spanglish.” One minute my parent’s and I are speaking English and the next thing you know…sometimes in the same sentence…we’re speaking English. 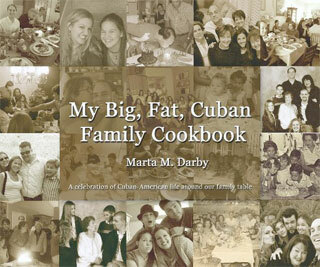 We don’t have a whole lot of Cuban traditions per se…but we did grow up eating lots of Cuban food. I would say my mom cooks half American and half Cuban in any given week. Although she is now 88 years old and just recently had to give up cooking…I have learned all the recipes and enjoy cooking them for my family and friends. My friends never had Cuban food until they met me. Everything you say about yourself on your blog is just like describing me. LOL! Except from the part where you say you are conservative and state your religion. I am liberal and Catholic. I too have curly hair and home-schooled my only son all through most of his high school years. I’m proud to say he just graduated from college. Anyway, I’m so glad I got turned o to your blog. My sister-in-law somehow saw your pin for guava pastry on Pintrest , which she knows is one of my favorite foods in the whole wide world. 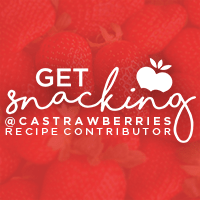 I am looking forward to seeing more of your recipes and have enjoyed your blog. 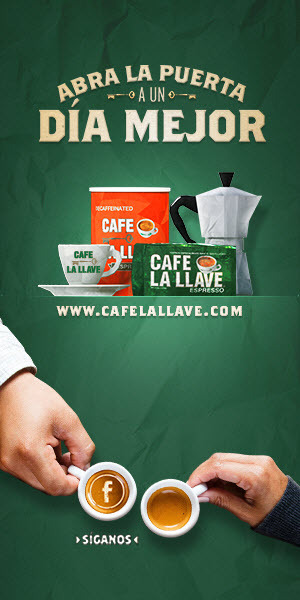 Thanks for sharing the info about Don Francisco’s Coffee Casa Cubana in downtown LA. I’ll have to take my husband and a few friends there on an upcoming Sat. afternoon for lunch. We are always looking for new places to try. I wish you great success with your blog.